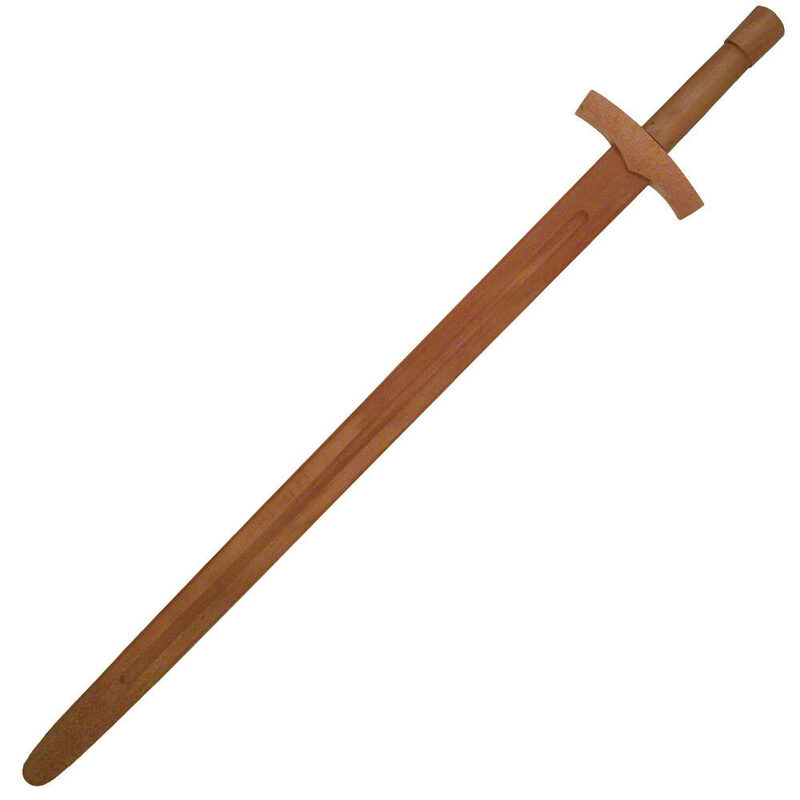 Middle Ages Medieval Knights Wooden Sword | BUDK.com - Knives & Swords At The Lowest Prices! The look and feel of this medieval sword makes it possible to master the art of sword wielding without the risk and weight of a live blade. Also makes a great non-lethal display. Most suitable for youth collectors. Please note: For lighter use than traditional bokken swords due to the design requirements, this model is not meant for sparring. Only complaint was it's not what I expected. It can't hold up to rigorous training, and it's too light to train with. Only buy this if you're teaching someone who knows literally nothing about how to hold a sword or swing a sword. Great product! My sister got two of these for a home movie, since real training swords are expensive. We just had to paint them (and add sound effects :) Did a good paint job, and they look GREAT! And though they don't feel strong enough for all-out sparring, they can take plenty of abuse. We had two guys (one was 6.6 feet and 200 pounds, with LOTS of muscle) fighting it out for the whole movie with these things. The final duel took three hours to film, all continuous hacking of swords and shields, but these things survived it! However, as I said, they don't feel strong enough for real sparring. Never the less, these exceeded my expectations, and went above their job description. Very reasonable price, too. Thanks True Swords!